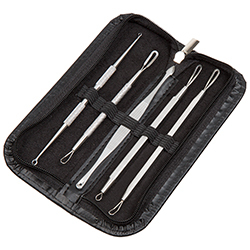 Safely keep your skin smooth and clear with the 6 Piece Blackhead Removal Set by Bluestone. The five included tools each have two different ends to help remove skin blemishes and unclog pores without damaging or scarring your skin. Each tool is made of durable metal for strength and to ensure this set will last for years to come. The tools also feature a textured handle for a no-slip grip for control and added safety. 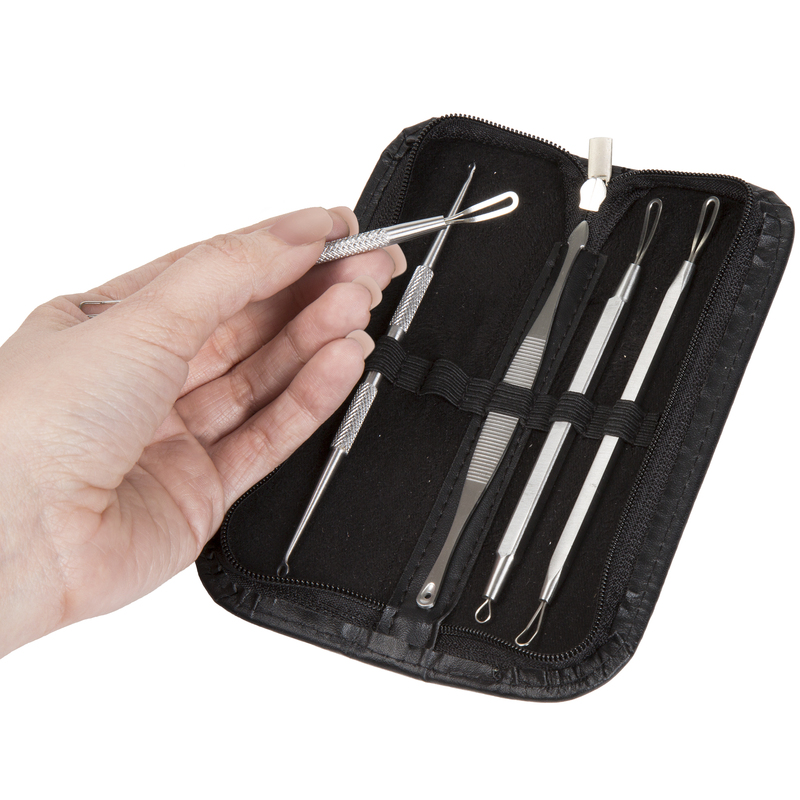 The tools come in a zippered carrying case and each one fits into its own place for easy storage and worry-free travel. This acne control set can give you a spa-like, quality skin care experience in the comfort of your own home between doctor or aesthetician visits. IMPORTANT: Avoid buying counterfeit products and transacting with unauthorized sellers. Look for our logo on the packaging for every one of our products. Bluestone is a registered trademark protected by U.S. Trademark law and will be vigorously defended. DOUBLE ENDED TOOLS- Each of the five implement has a different tool on each end to help remove impurities from your skin. 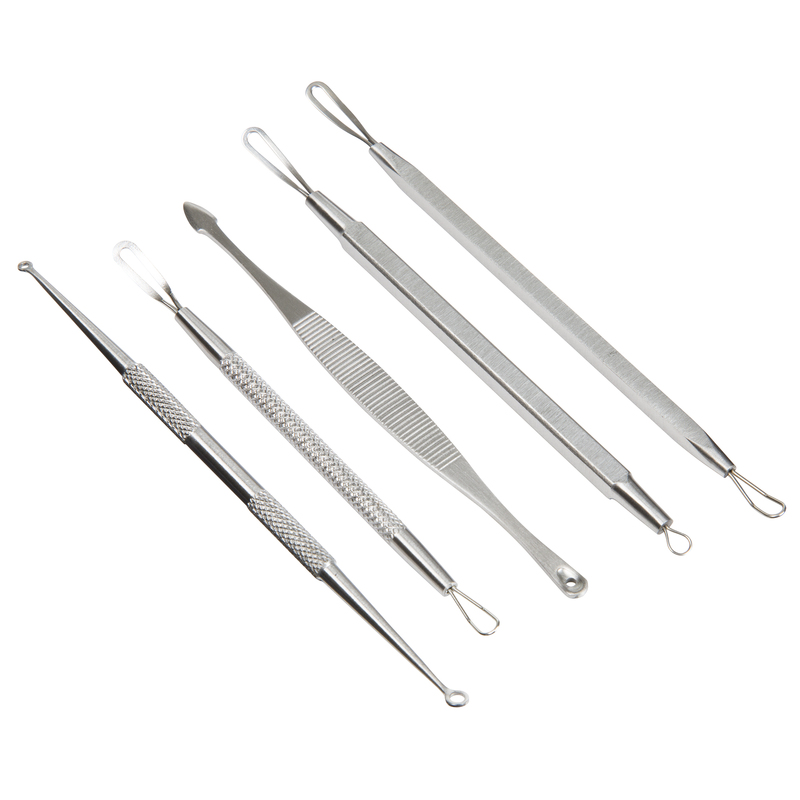 There are different gauge round and flat wires for black and whiteheads and a sharp implement for difficult blemishes. REDUCE SCARRING AND SKIN DAMAGE- Using these acne control tools helps reduce skin damage that can occur when using only your hands to remove blemishes. Less skin damage means fewer scars and smoother skin. QUALITY SKIN CARE AT HOME- Each tool is made of metal for durability and has an engraved handle for a no-slip grip that gives you more control. These tools are designed to provide you quality skin care at home between doctor or aesthetician visits. TRAVEL CASE INCLUDED- The included zippered case has individual spaces for each tool. This keeps them all in one place so they’re easy to find when you need them. The case also makes them great to take with you while traveling. 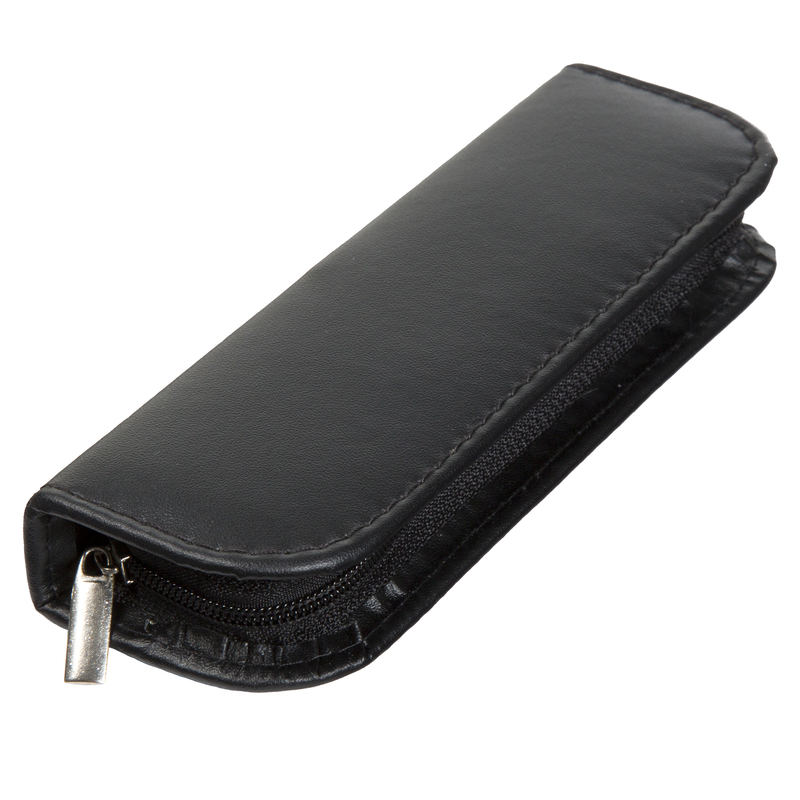 PRODUCT DETAILS- Tool Dimensions: 4”- 5.25” L. Closed Case Dimensions: 6” L x 2” W x 1” H. 6 Pieces. Color: Black Case and Silver Tools.